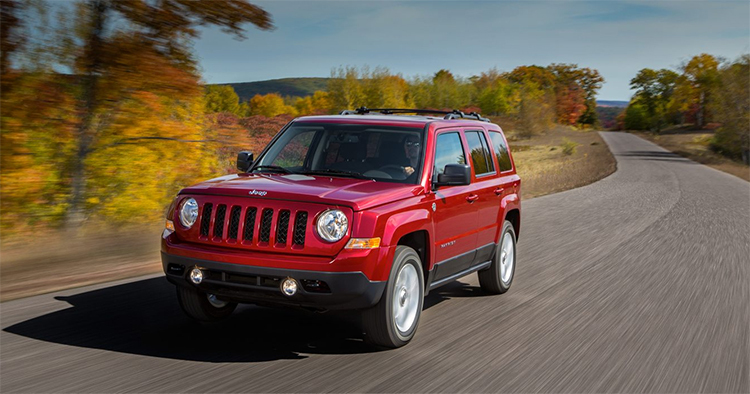 Boasting a wide array of standard features, the 2017 Jeep Patriot is an SUV that’s designed to appeal to budget-conscious shoppers. If you need a vehicle that’s as good at the daily commute as it is at tackling muddy trails, you need to check out the latest Patriot. Because of its versatility, excellent performance, and affordable price tag, the Jeep is an appealing option for any consumers who want to stretch their dollars. For the Patriot, Jeep offers five trim levels: the Sport, Sport SE, Latitude, 75th Anniversary Edition, and the High Altitude. The base trim, the Sport, has an MSRP of $17,895**. With its bigger wheels and heated front seats, the Sport SE starts at $20,040**. In the middle of the lineup, the Latitude has remote keyless entry and other perks for $22,395**. For shoppers who don’t mind paying more for additional features, the 75th Anniversary Edition has premium amenities such as a sunroof and a cargo cover. The price for this trim is $24,695**. 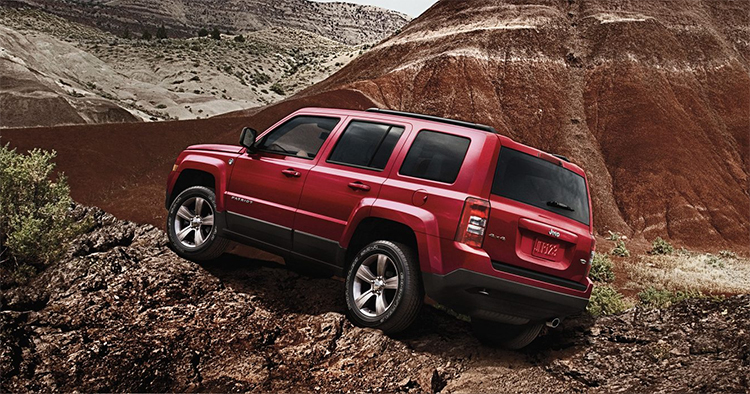 The most features come on the fully loaded High Altitude with an MSRP of $24,975**. Among its many amenities, the High Altitude comes with exclusive 17-inch alloy wheels, a power-adjustable driver’s seat, chrome body trim, a sunroof, and leather upholstery. The 2017 Patriot has a rugged exterior to match its off-road capabilities. On the front fascia, the circular headlights sit on either side of the classic Jeep grille. Shoppers can upgrade the exterior with optional features such as daytime running lights, tow hooks, roof rails, and heated mirrors. As the base engine, the 2-liter four-cylinder powertrain cranks out 158 horsepower with 141 pound-feet of torque. It’s only available with front-wheel drive. Optional on front-wheel drive models and standard for all-wheel drive Patriots, the 2.4-liter four-cylinder engine maxes out at 172 horsepower and 165 pound-feet of torque. Regardless of which engine you choose, the standard transmission is a five-speed manual gear box. The 2-liter engine has an optional automatic continuously variable transmission. With the 2.4-liter powertrain, you can upgrade to a six-speed automatic transmission. 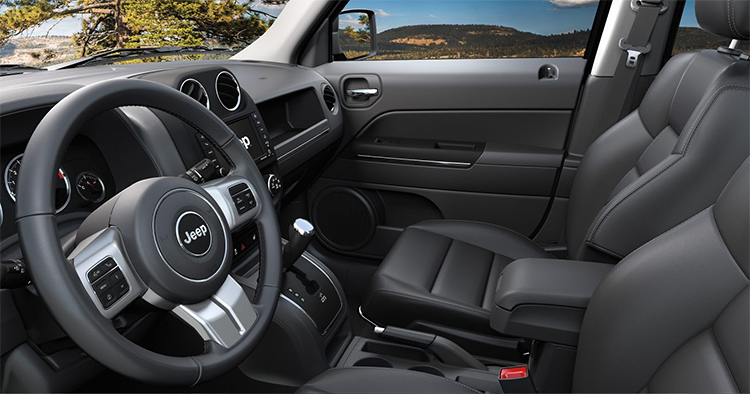 The 2017 Jeep Patriot provides peak performance with a six-speed automatic transmission on the 2.4-liter powertrain. With the more powerful engine, you get more aggressive acceleration. In terms of ride quality, the Patriot offers a ride that’s on par with the comfort you get with most SUVs and crossovers. Because of its compact size, the Patriot has impressive handling and a grippy feel. Achieve optimal fuel economy with the 2-liter engine that’s paired with the CVT. On city streets, it gets up to 22 miles per gallon*. When driving on the open road, it gets up to 26 mpg*. 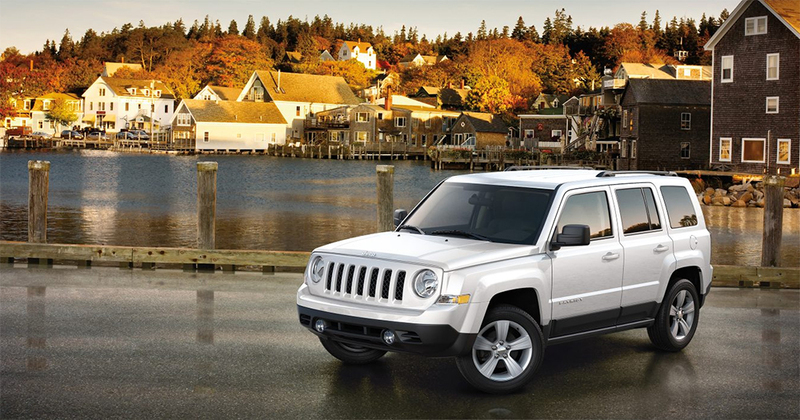 With comfortable seating and adequate space, the Jeep Patriot works well on lengthy drives. The Latitude has the added comfort of reclining seatbacks in the rear. With the upper trims, the Patriot has Bluetooth technology, a rear seat fold-over split to accommodate bulky cargo, and cruise control. 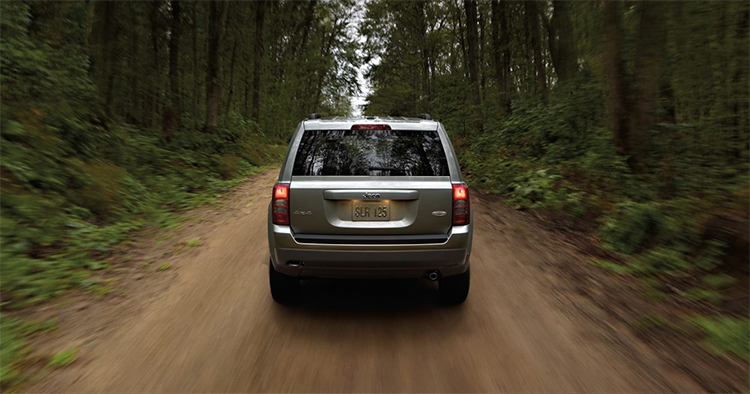 Traction and stability control systems, anti-lock brakes, and multiple air bags provide standard protection. In government crash tests, the Patriot earned four out of five stars for overall protection. 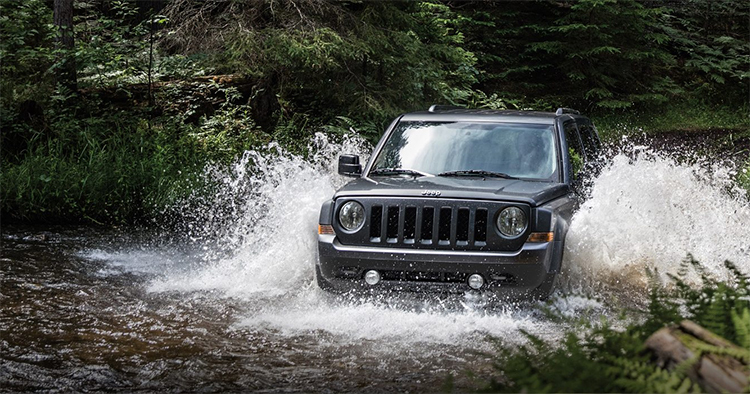 Experience the 2017 Jeep Patriot and schedule a test drive today!